Books have helped me dive into different worlds and cultures, slip into the skin of different authors and unique characters and understand this world, this life from their perspective. A huge part of who I am today- mind, body and soul - has been shaped by books, and there are few which live with me, growing on me with each passing day. The Book Thief by Markus Zusak is one such book that I want all living humans to read. Emotive writing, very real characters and heart breaking relationships, this book is a must read. As a writer too, I found this very interesting particularly the way the narrative is handled in this book. I love the above quote by John Green and though I haven't read The Fault in Our Stars, his other book Looking for Alaska is a beautiful read - it'll make you laugh and cry. I am sure all book lovers can relate to this feeling - of the real world evaporating. One book that I read as a teenager and which still holds a special place in my heart is The Secret Garden by Frances Hodgson Burnett. I remember being enchanted by the vivid descriptions then, by the magic of the gardens and by the well etched out characters of Mary and Colin (even the Robin!). Oh, how I wish Haruki Murakami was my friend and after each book I read of his, I could give him a call and bombard him with questions. All his books leave me with questions, puzzled and confused. And so I'm hooked, to his writing style and the weird themes he deals with. His characters are completely altered because of their dreams, memories, nostalgia...and these concepts, the power of the mind and the unconscious intrigue me. I have just finished reading the Colorless Tsukuru Tazaki and His Years of Pilgrimage but my favourite amongst all his books is The Wind-Up Bird Chronicle - absolutely recommend this one. Confession - The Cather in the Rye was read as a teenager and I never understood the fuss around this book. I couldn't relate to Holden Caulfield but I revisited this book again few summers back and I absolutely loved it. Do you agree with Franz Kafka here? I do, to an extent. I find myself drawn to books that are beautifully sad, that punch its way in me, warming my heart. Two of my favourite books that not only dealt with delicate and complex issues but also had such layered characters and pricked at my emotional side were - The Colour Purple by Alice Walker and And The Mountains Echoed by Khaled Hosseini. I love love Khalid Hosseini, he is a master storyteller! I have read only one book by Franz Kafka - The Trial - and while the story moved too slowly for my taste, this has an uncomfortable setting, interesting concept and disturbing end which made it quite a fascinating read for me. There are many many more books that have left a long lasting impression on me, but these are the ones that top. Now your turn, which are the books that made you? Co-hosting Blogchatter prompt this week with Richa Singh. Write a post on 'Books that Made You' and connect with us here in the linky below. Blogchatter is a twitter initiative where bloggers from all spheres connect, engage and support each other in taking blogs to next level. Also every Wednesday we have a chat session at 8.30 PM discussing a range of blogging topics each week. Tune in! Such a delightful read this was! I haven't read many of the books you have revelled in! Time to catch up on atleast a few of them. As a blogger/writer I think the love for words is something one develops in the early years, one which blossoms into a lifelong affair. Soul-writing this! Books! Only book lovers will understand the depth of the fuss and our obsession to the book we hold in hand. Your wonderful write up took me to my childhood. The stealthy reading under the covers, way past bedtime, I had even smuggled a book and read it covered with my zoology text, the night before my bio exam :) I love the authors you mentioned, and will catch on the titles you have listed. I think you might like it, Hema! I agree about The Book Thief & Looking for Alaska. They were both wonderful. As for Catcher in the rye, I read it a couple of years ago and didn't like it. I assumed I probably had to be a teenager to enjoy it. With Murakami, I've read one of his books of short stories and I must admit, they left me a bit meh. I wasn't sure if something got lost in translation. I haven't ventured to read any of his other books yet though. I think Cathcher in the Rye needs a second chance... I read it as a teenager but didn't like it, and then again a few years back. A book must be the axe for the frozen sea within us. - What a wonderful, emotive sentence that is and I quite agree. Books and well composed music give flight to the soul. 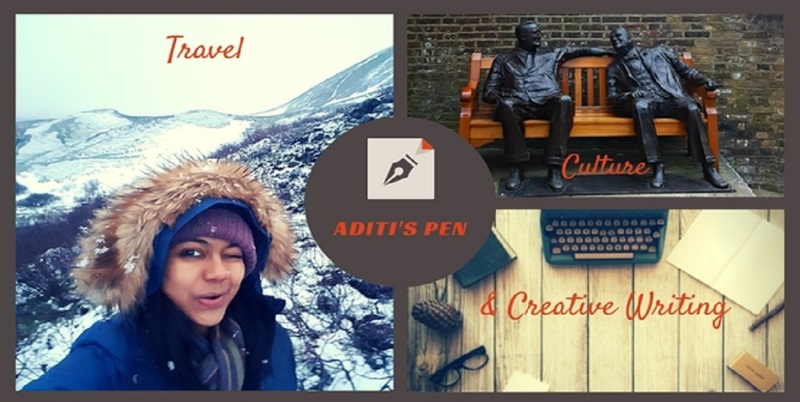 I thoroughly enjoyed reading your post, Aditi. As a teenager, I was deeply influenced by the books written by Charles Dickens, Thomas Hardy, Charlotte Bronte, Emily Bronte, Enid Blyton, RK Narayan among others. I read the Secret Garden when I was in my late 20s and still enjoyed it. I've read John Green's The Fault in Our Stars and cried over it for weeks after falling in love with Gus, I haven't read the other book that you've mentioned. Will do that soon. Not read Khalid Hosseini yet but my husband who doesn't usually have the patience for books is a huge fan and reads his books devotedly. It's on my bookshelf and I plan to catch up with it soon. Loved the quote that you shared, especially where it reads: A book must be the axe for the frozen sea within us.